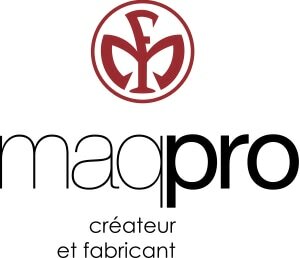 Maqpro is a French creator and manufacturer of high-end makeup products with exclusivity on the international market. Creating and producing high quality professional cosmetics for every need. Creating makeup to a standard of excellence is our profession and our passion. For over 30 years, we have proudly offered customer’s high quality products crafted and developed uniquely to suit every individual and industry professionals need. Our loyal clients range from brides and private clients to the industry's best artists working in film, television, theatre and fashion, knowing that the best job is achievable when aided by exceptional and beautiful products. Maqpro products are manufactured in France and were the first cosmetic brand to receive the "Origine France Garantie" title. This prestigious label reassures the products are authentically French and of the highest standard.Maqpro products are now distribute in Australia and supply makeup artists, academies, beauty salons, makeup studios.